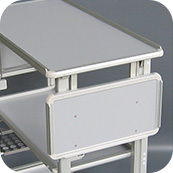 Folding trolley is mostly used in the first and business class sections which can be highly customised according to airlines requirement. A new lightweight design weighing just 6.9kg that takes 5 seconds to unfold (in 3 steps) is also available. 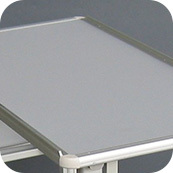 The design is extremely user friendly due to the ease to deploy and fold easily. 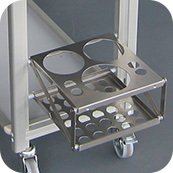 It is fully collapsible for narrow width stowage when not in operation.